I recently celebrated my 31st birthday with a weekend getaway in Murphys. 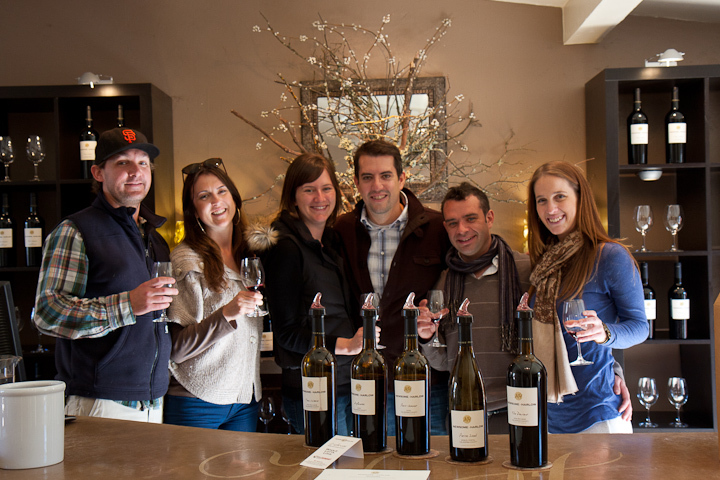 It’s a charming little town in Calaveras County, CA packed with great wineries. Chris and I hit the road after work Friday night and friends Lucy, Brett, Kimmy and Ramsey met up with us Saturday morning. Our celebratory crew of six (seven if you count Brett and Lucy’s loveable English bulldog GOB) took over the main drag, visiting quite a few tasting rooms in the span of a beautiful fall Saturday— Milliaire Winery, Twisted Oak and Newsome-Harlow were some of the favorites. 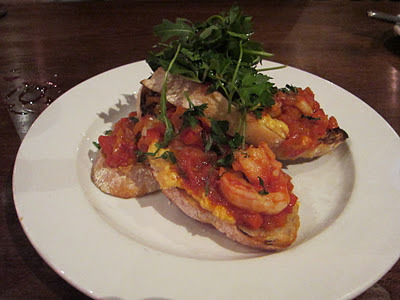 We worked up quite an appetite during our wine-tasting adventure and therefore gorged on a fantastic dinner at Grounds. 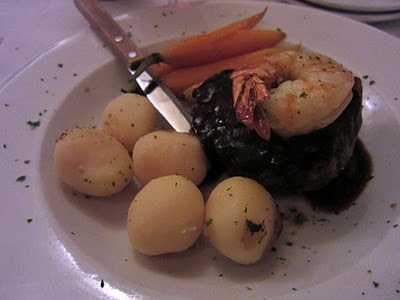 I thoroughly enjoyed the filet mignon with shrimp, potatoes, baby carrots and bordelaise sauce. 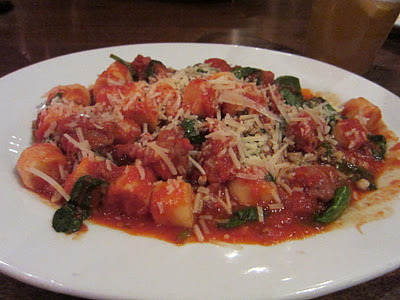 before moving on to a heavenly main course of ricotta gnocchi with Aleppo chili tomato sauce and spicy sausage. Thirty was a great year for me – running two marathons and starting a new job were some of the highlights. I can’t wait to make the most out of 31, and am grateful I got to kick it off by sharing a delicious weekend of laughter with some of my favorite people.